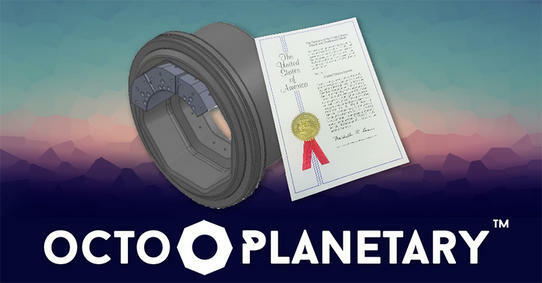 Octo-planetary Patent has been awarded to BetaSwage. RotaCrimp™ The leading method in crimping technology. 3D - View Now Available Online for selected BetaSwage Products. Wah Joo Seng intl. trading PTE Ltd. take delivery of a the new BetaSwage BS1400/400C Crimp Press. What is Octo-Planetary? Octo-Planetary is a unique shoe to cone mechanical configuration that allows you to crimp non-homogenous product without causing damage to the crimp press. Octagonal shape configuration crimpers been manufactured in the past, however the design has never been incorporated into an annular crimp press configuration before. At BetaSwage we have always developed annular crimpers because they produce highest crimping loads when compared to the annular scissor configuration. The choice to develop an octagonal crimper for our larger range of crimp press’s was inevitable as hexagonal profiles can offer a greater surface area of contact from the shoe to cone, however current industry standard machines had an inherent design flaw. Octagonal configurations placed the shoes on the flats of each face of the octagonal shape, therefore leaving each shoe unstable & requiring guidance bearings. BetaSwage’s patented design eliminated this issue by running the shoe along the line of each octagonal corner, creating two contact surfaces. These opposing surfaces generate a balanced distribution of load to each shoe. Removing the bending moment that may occur when crimping a non-homogenous product such as welded pipe, resulting in a crimp press that won’t fail. The Octo-Planetary configuration is found on our larger nominal diameter machines. Our 10” Crimper to 14” Crimper range that require the demand for high tonnage loads. If you would like more information on Octo-Planetary crimpers please visit our technology page explanation or alternatively please contact Fred Van Essen at BetaSwage.